I believe we call this, The Competition. Repair or replace? From a shoe cart in Istanbul to a cowboy boot cobbler in Colorado Springs, it’s been quite a year already. I love how he has PAIRS of sandals out on display but only ONE of the various types of Trainers with the mate cleverly hidden. 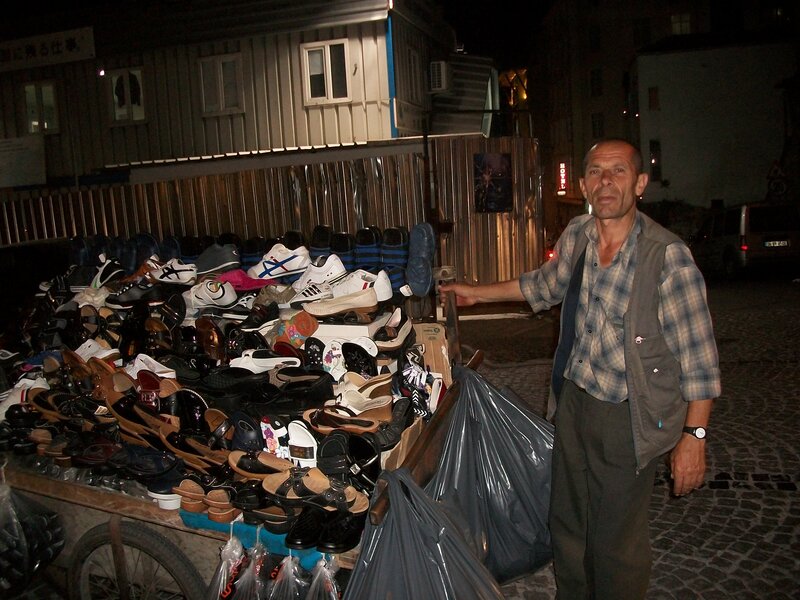 Tells me that people know the value of expensive sports footwear worldwide! What does that say for the human condition when vendors must separate pairs of high dollar running shoes to keep them from being stolen? This entry was posted on July 4, 2012 by thenicethingaboutstrangers in Europe, Happiness, Observed, Travel and tagged carts, Colorado Springs, Istanbul, May I take your picture, replace, shoe repair, Trukey.